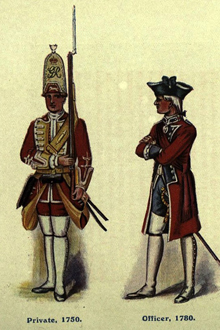 Alizarin, originally obtained from madder roots, was used to color British soldiers' uniforms in the 17th and 18th centuries. Now it may be a foundation for anticancer drug discovery, research published in Cancer Cell suggests. Researchers at Winship Cancer Institute, Emory University have identified an enzyme that coordinates cancer cells' altered metabolism and sugar consumption. Inhibitors of the enzyme, phosphoglycerate mutase 1 (PGAM1), include a red dye, alizarin, which was used to color British soldiers' uniforms in the 17th and 18th centuries. Derivatives of alizarin could be a starting point for new anticancer drugs, particularly against leukemia. The results were published online Monday in the journal Cancer Cell. The first author of the paper is postdoctoral fellow Taro Hitosugi. The senior author is Jing Chen, PhD, associate professor of hematology and medical oncology at Emory University School of Medicine and Winship Cancer Institute. Collaborators include Lu Zhou (co-first author) and Chuan He (co-senior author), PhD, professor of chemistry at the University of Chicago. Zhou is now at Fudan University in Shanghai. Chen and Hitosugi say they decided to focus on PGAM1 because it controls a strategic point within cellular metabolism. Cancer cells tend to consume more glucose, or blood sugar, partly because they use the glucose to make building blocks for new cells. This tendency is known as the "Warburg effect." Their research shows that PGAM1 appears to coordinate both of these processes: glycolysis (glucose consumption) and biosynthesis (producing building blocks). Without PGAM1, the chemical 3-phosphoglycerate builds up in the cell and shuts down biosynthesis. "PGAM1 doesn't set the speed limit, but it does regulate the traffic," Chen says. "If PGAM1 is not doing its job, then everything slows down." In cancer cells, PGAM1 is often activated because the cells lose functional p53, a gene that usually represses PGAM1. P53, known as "guardian of the genome", has several other functions including preventing the growth of cells with damaged DNA. PGAM was known to be elevated in liver cancer, and in the paper, researchers show it is also elevated in several types of leukemia. Hitosugi and his colleagues sorted through thousands of potential drugs to identify inhibitors of PGAM1. They focused on alizarin, which was once obtained from madder plants and became one of the first dyes to be synthesized from coal tar in the 19th century. Alizarin is also used today as a laboratory tool to stain calcium or bone. Chen and Hitosugi teamed up with He's laboratory and Keqiang Ye, PhD, professor of pathology at Emory, to synthesize compounds based on alizarin. One of them, PGMI-004A, could block the growth of human lung tumors implanted in mice, as well as primary leukemia cells from human patients. PGMI-004A and related compounds are all bright red in color. Chen cautions that PGMI-004A is not quite a viable drug candidate yet, and more chemical optimization could lead to a more potent and promising compound. PGMI-004A appears to be non-toxic to mice over a short time period (three weeks), but more toxicity tests are needed, he says. A rare deficiency of another form of phosphoglycerate mutase, which is found in skeletal muscles (PGAM2), leads to cramping and muscle breakdown after strenuous activity. Faculty who are co-authors at Emory include Peng Jin, Georgia Chen, Dong Shin, Susan Muller, Taofeek Owonikoko, Sagar Lonial, Hanna Khoury, Fadlo Khuri, Martha Arellano and Sumin Kang. Chen, Kang and Hitosugi are inventors under a patent applied for by Emory University, and potentially could benefit from commercialization of PGAM1 inhibitors. This arrangement has been reviewed and approved by Emory University in accordance with conflict of interest policies. The research was supported by the National Cancer Institute (CA120272 and CA140515 to Chen), the National Institute of General Medical Sciences (GM071440 to He), the Department of Defense, the Leukemia and Lymphoma Society (Scholar Award to Chen), and the American Society of Hematology (Fellow Scholar Award to Hitosugi). Reference: T. Hitosugi et al. Phosphoglycerate mutase 1 coordinates glycolysis and biosynthesis to promote tumor growth. Cancer Cell 22, 585-600 (2012).